It’s always good to catch up! 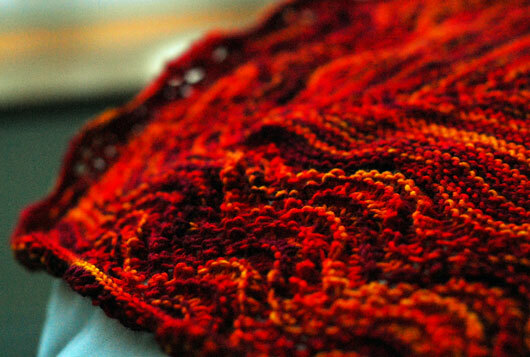 There has been a lot of knitting but not much opportunity to share it. This is mostly because I am always in a big rush in the morning and by the time I get home, it is far too dark to take photos. It was a close thing today! Between sleeping in (for which I have a new-found love) and the fog, I was nearly caught out again. Anyway, I have some hats to share. First up is Quincy from Jared Flood’s Made in Brooklyn. 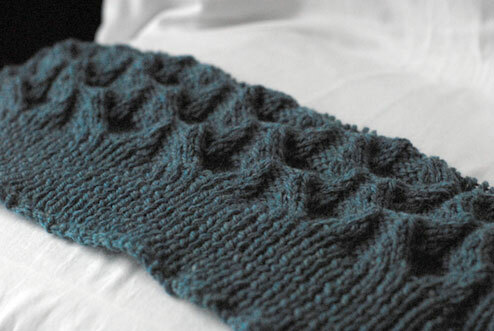 This was a quick and addictive knit because it uses chunky yarn (I used some leftover Rowan Cocoon) and garter stitch. 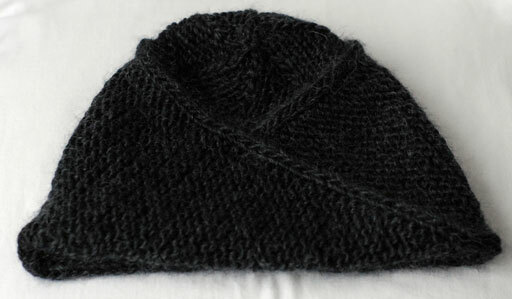 Next up is a hat made from Game Knitting. This is a fabulous wee booklet I found via Ravelry. It has some patterns but mostly it explains the concept and gives lots of examples and ideas. 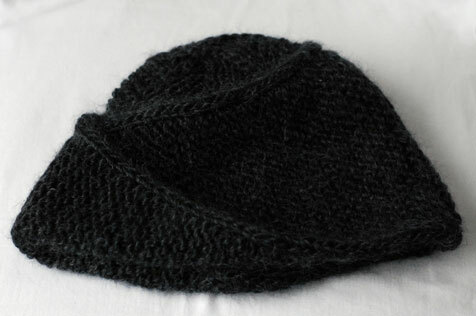 I knit this hat while watching football and NBA. 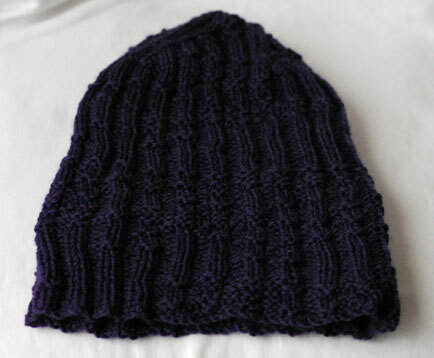 It’s just a regular 2×2 Rib hat but I changed the pattern when the ball went out of play. It gives a fun regular-random flow to the hat. If you like the sound of this, I definitely recommend the booklet for loads of ideas! 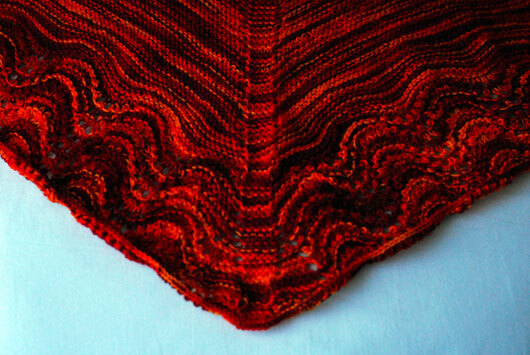 … which is knit out of Garnstudio’s Alaska, the same stuff I knit my Liesl out of. I wasn’t really close to gauge so I did some maths and figured that I could get away with knitting a size smaller at the gauge I had. It looks ok so far! 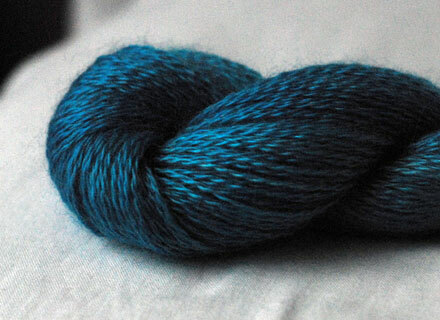 I was in This is Knit yesterday between lessons and I picked up some of this dreamy stuff. He fully accepts liability. I am pretty sure he is unaware of the term ‘boyfriend sweater curse’ but the notion is not alien to him. In his words, I knit him a jumper, he doesn’t like it, he doesn’t wear it, I get mad. 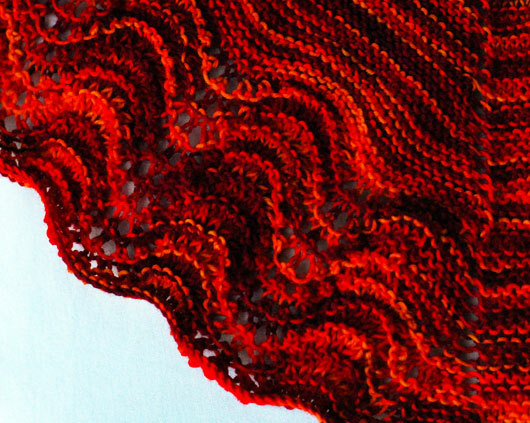 However, I have some things working in my favour: I can’t stay mad for more than five minutes, I just want something to knit, and we have just cruised into our eighth year of going-outedness and we have never really broached the subject. But… the subject had to be broached when it became painfully obvious that his favourite – and only – warm jumper is past its prime. It was christened Sheep Jumper many moons ago but I don’t know why. It’s made from a warm, shaggy synthetic and is beige with dark beige stripes on the cuffs and hem. It doesn’t look anything like a sheep. I think perhaps his presence around so much wool had a subliminal influence. Sheep = wool = warm? 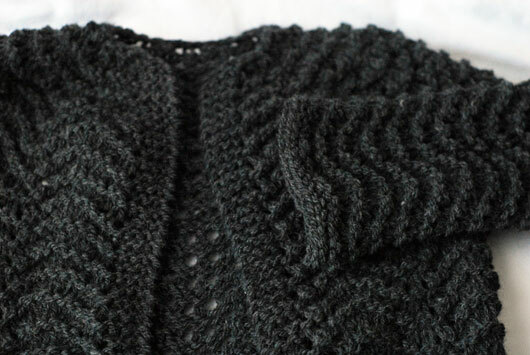 After many unfruitful shopping trips to replace Sheep Jumper I tentatively suggested I knit a replacement… which finds me cranking out a dark grey superwash this weekend and praying that it comes out in even a somewhat humanoid form. 1. He not only eats my cooking but often compliments it. 3. He uses logic to calm knitting rage. For example, if gauge is consistently cranky and insists on ruining not one, but four attempts at a jumper, he will suggest soothing solutions. These include increasing swatch size because (get this) a small swatch results in a large margin of error! 5. The knitting allows for far more football and basketball watching than would normally be tolerated. This isn’t necessarily a bad thing as I get lots of knitting done. I usually just listen to the commentary so I end up taking in far more information than I want to, which in turn means that I can have an in-depth conversation about the Premiership… without having any true interest in it at all. The basketball, on the other hand, has a lot to answer for. It seems I have become a die-hard Toronto Raptors fan.